The drop in price for nutmeg on the international market has resulted in the Board of the Grenada Cooperative Nutmeg Association (GCNA), taking a decision to reduce the price that is also paid out to local farmers. Chairman of the Board Leo Cato, said that within the last 12 months the price has moved from US$25,000 to US$12,700 per metric ton. “For the first half of 2013, we earned $11million and for 2014 only $7 million, clearly we cannot continue like this,” he said as he justified the new price structure. 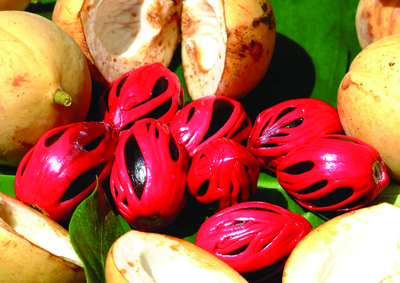 The increase in the number of nutmeg suppliers on the international market is one of the reasons for the reduction in price. Grenada farmers currently receive EC$4 per pound for green nutmeg, as opposed to the previous EC$5 per pound, while the price for mace is now EC$8 per pound, down from EC$10 per pound. Cato also denied that the reduction is a directive from government. “This is strictly a decision of the Board and nothing to do with government,” he said.